In celebration of Africa Day we compiled a list of amazing young women blazing trails here at home and internationally. It has been 55 years since Africa Day which was formerly known as African Freedom Day and African Liberation Day started being observed. The day is widely celebrated across the continent and with each passing year we are able to reflect on the continent's incredible history and progress. We've complied a list of young African women who remind us just how much Africa continues to be a continent filled with possibilities and innovation. 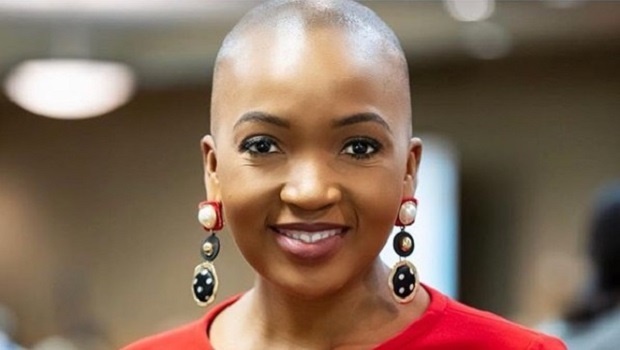 Nompumelelo is a South African international motivational speaker who travels across the world sharing her story with people. According to her website she has spoken at the White House, congressional fundraisers, corporate functions and nonprofit initiatives in several countries. At the age of nine, Nompumelelo lost her mother to HIV/AIDS. She was then raised by her grandmother who struggled to make ends meet until Nompumelelo was accepted and enrolled at the Oprah Winfrey Leadership Academy. Nompulelelo is a leader in residence at Nation Builder and she is currently developing the digital infrastructure for Share Your Story Africa - an initiative that is inspired by her advocacy work uniting youth against HIV/AIDS and domestic violence in South Africa. Haneefa is a young women from Nigeria who is contributing to the world by showing the importance of representation. She is the creative and founder of Hijarbie. In an interview with OkayAfrica, Haneefa explains that the creation of Hijarbie began when she scrolling through the Barbie style page on Instagram. "It occurred to me that there is an alternate identity, with a hijab wearing stylish female, as well. Noticing that gap, I got a doll, dressed her up and made her don a hijab and started documenting it. I wanted to provide a positive narrative for the Muslim girl and provide inspiration as there is a lot of that in the Muslim world," she told reporter Audrey Lang. Her Hijarbie dolls are well received on social media. Her dolls may not be for sale yet but there is a market for her work in the continent. This is what my party looked like. High profile ?? At the age of 23, the young Zimbabwean became the youngest African to hold a PhD. She obtained her qualification at North West University (NWU). She was raised in Botswana and at the age of 15 she moved to South Africa to begin her undergraduate studies. According to NWU she started her BCom at the age of 16 which she completed at the age of 19. She followed that up by completing her honours and master’s degrees at the age of 20 and 21 respectively, both which she obtained with distinctions. In an interview with Drum, Musawenkosi said while working towards her master’s degree, her uncle inspired her by showing her an article of a Nigerian man who completed a PhD at the age of 24. And two years after the completion of her master's degree she overtook that record. At 21 Tshepang is a seasoned chess player. She started playing chess at the age of three and keeps working her way up the ranks. According to the City Press, Tshepang already has the status of "Woman International Master in chess" which is a title she obtained when she was only 13 years old. At 15 she started playing for the Olympiad team, making her the youngest member of the team at the time. She is now aiming to become a Woman's Grand Master by competing in the African Individual Chess Championships in Zambia which is a title that hasn't been won by woman chess player in South Africa. Tshepang raised funds for her competition by selling chess boards and receiving donations from the general public. Do you know of any other women under 30 that we should include to grow this list? Email us on chatback@w24.co.za Or give a shoutout on our social media platforms.